This italian-inspired dinner of easy turkey meatballs with shredded spaghetti squash is real food heaven, even for a not-so-great cook like myself. I made a simple homemade tomato sauce to go with it, thanks to the amazing roadside farmer's markets in our new South Jersey stomping grounds. It feels weird to pull over to the side of the road for something other than getting caught speeding. That's cool, though. Making new memories. While the squash bakes, make the sauce; and with about 20 minutes left on the squash cook time, add the meatballs to the oven. Both recipes below! Stab the whole squash a few times (get angry!) and bake it in the oven at 375° for about an hour. Slice and scrape out the meat with a fork, discarding the seeds. Spaghetti squash is more dynamic, flavorful and wholesome than any pasta! 2 lbs. peeled and chopped tomatoes (easy peel tip: pour boiling water over fresh tomatoes, then plunge into an ice bath, to loosen the skin). You can seed the tomatoes if you wish, but that's a lotta work! Cook onion, carrot, celery, parsley, pepper, and garlic in olive oil over medium-low heat for 15 minutes or until soft. 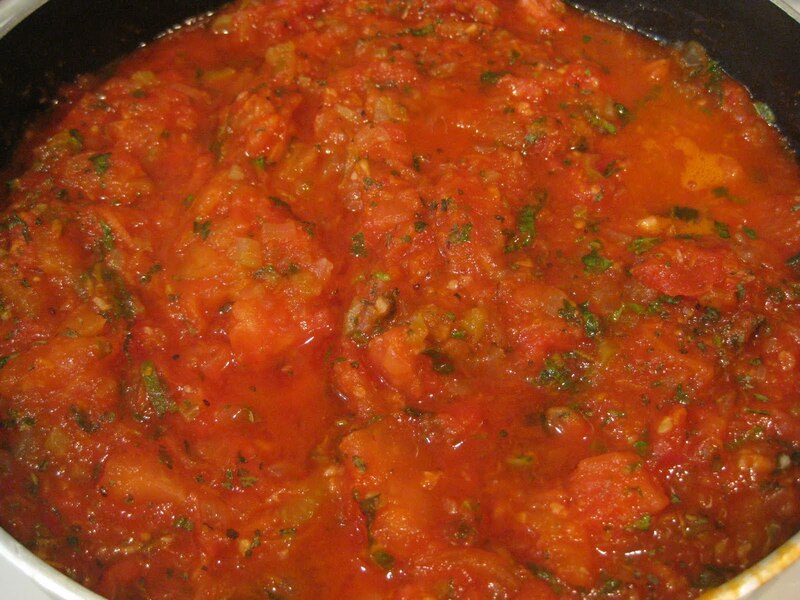 Add tomatoes and basil and allow to simmer at least 20 minutes. Add tomato paste if desired. Season with more spices! You can simmer the meatballs in the sauce if you like. 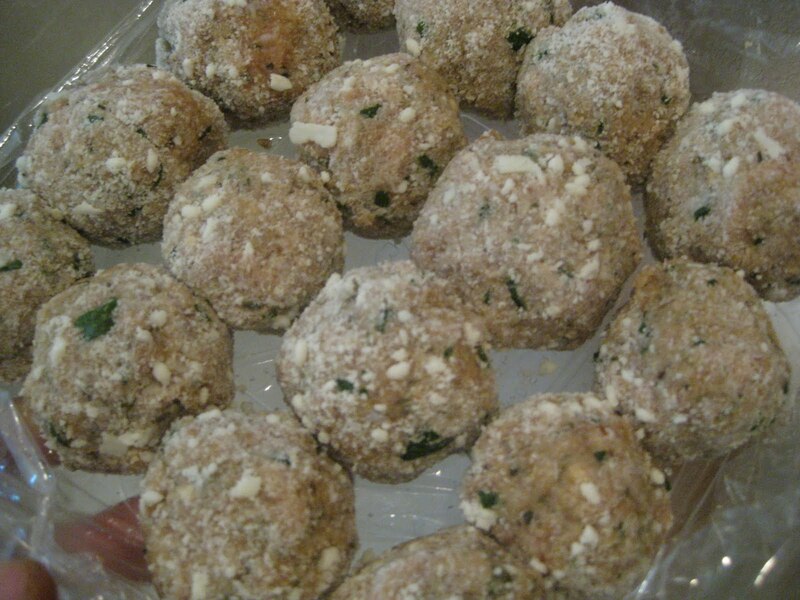 Combine ingredients and roll into balls. I coated the meatballs in some extra P-R cheese so they wouldn't be sticky. Bake on a sheet at 375° for about 20 minutes. Ring the dinner bell – we have a delicious, exciting meal composed entirely of nutritious vegetables and meats! Jamie Lee Curtis ain't got nothing on this fiber. If you need me, I'll be doing my superiority dance. **Update: Don't let your sweetheart eat this over cream-colored carpet without putting a tarp down. I’ll remember the part about putting down a tarp! As a southern NJ transplant to Kansas, finally someone agrees with me that NJ tomatoes are the best!